Dig down and discover amazing treasures, right under your feet! 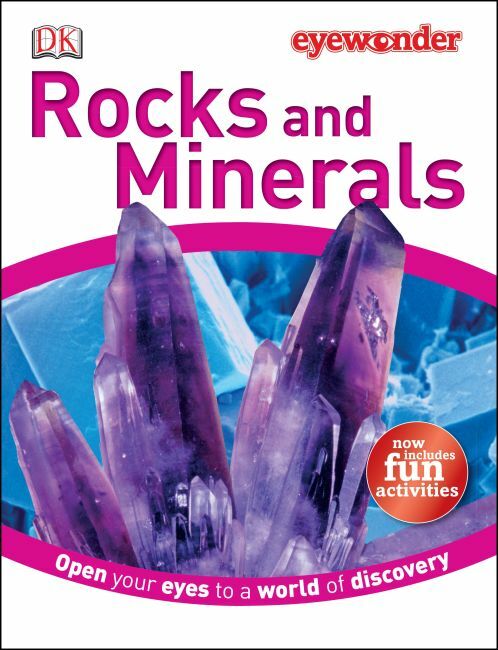 In Eye Wonder: Rocks and Minerals see how rocks form, learn the difference between igneous, metamorphic, and sedimentary rocks, discover precious gems, metals and crystals, find out what minerals are and the hundreds of uses we have for them. A precursor to DK's award-winning Eyewitness series, Eye Wonder was specially developed for children aged five plus, featuring astonishing photography exhibiting subjects within their natural setting, offering a whole new level of information through powerful images. The vocabulary is accessible to young readers, with the meanings of new, subject-related words clearly explained. Reissued with a new jacket and eight new pages of mazes, look-and-finds, quizzes, and interactive activities, the new generation of Eye Wonder will capture readers' imaginations and give them a reason to delve even deeper into each book.